Well we knew our staff was creative, but they took that creativity to a whole new level for our 2nd Annual Staff Pumpkin Carving Contest. From the amazing candy corn sea scene to the Ghostbusters Marshmallow Man the teacher truly went all out. The Grand Prize winner was Miss Shelly and her Finding Nemo scene. 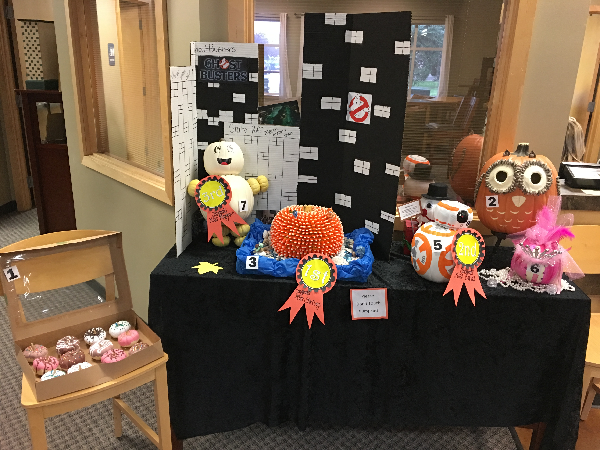 Thank you to all who participated in making and voting for these wonderful pumpkins! There are currently no comments for 2016 Staff Pumpkin Carving Contest.